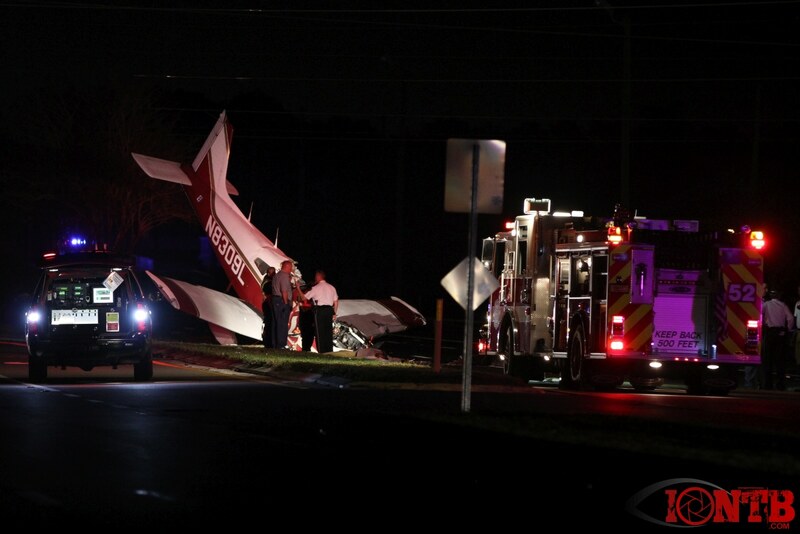 On March 22, 2014, about 0400 eastern daylight time, a Piper PA-28-181, N8309L, operated by a private individual, was substantially damaged when it collided with powerlines, during a forced landing to a highway in Safety Harbor, Florida, near Saint Petersburg-Clearwater International Airport (PIE), Clearwater, Florida. The private pilot was fatally injured and two passengers were seriously injured. Night visual meteorological conditions prevailed and no flight plan was filed for the planned flight to PIE. The flight departed John C Tune Airport (JWN), Nashville, Tennessee about 2338 eastern daylight time on March 21, 2014. The personal flight was conducted under the provisions of 14 Code of Federal Regulations Part 91. According to preliminary information from the Federal Aviation Administration (FAA), the airplane was in radio and radar contact with air traffic control (ATC) as it approached PIE. The pilot subsequently reported a fuel emergency and the airplane impacted powerlines about 6 miles north of PIE. The wreckage came to rest upright, nose-down, oriented on a southeasterly heading, on a highway beneath the powerlines. All major components of the airplane were accounted for at the scene. The engine and cockpit area were crushed inward and the cabin roof had separated. The cabin roof, where the top of the cockpit door met the cabin, exhibited an impact mark consistent with a wire strike. 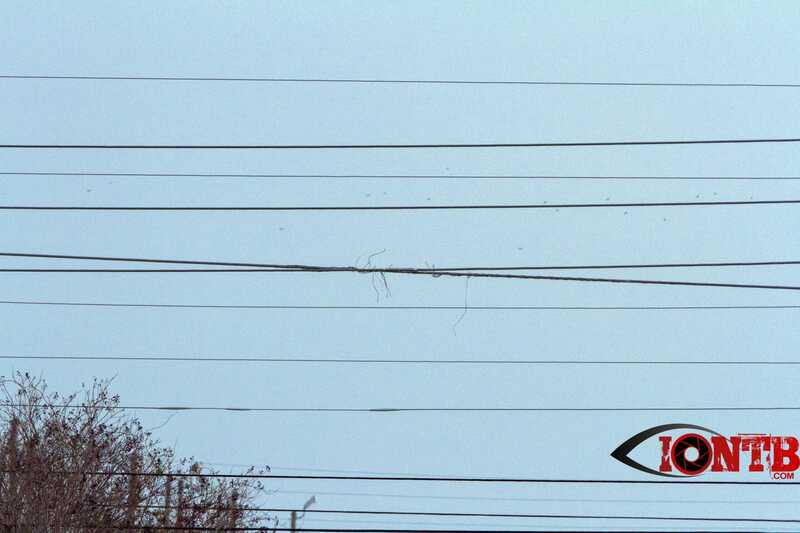 The impact mark was a similar size to an approximate 1.25-inch-thick aluminum powerline that had separated during the impact, causing a power outage in the area. 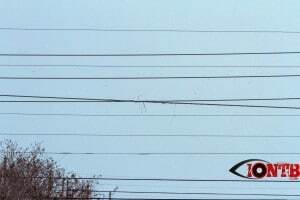 The aluminum power line had been located about 160 feet above the highway. The leading edge of the left wing exhibited impact damage. The left main fuel tank remained intact and approximately 4 ounces of fuel were recovered from it by an FAA inspector. The left aileron and flap remained attached. The right wing was undamaged with the exception of a partial separation of the right flap and the right fuel tank was compromised at its fuel drain. During recovery, the FAA inspector observed some drops of fuel dripping from the right tank. The fuel selector was found positioned to the left main fuel tank. The pilot held a private pilot certificate with a rating for airplane single-engine land. 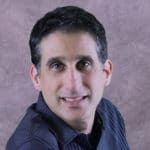 His most recent FAA second-class medical certificate was issued on October 31, 2013. At that time, he reported a total flight experience of 1,549 hours. A handheld Garmin 496 GPS was recovered from the wreckage and retained for further examination. Update 4/1/2014: Plane crash survivor, Keyana Linbo, was back home in Round Lake, Illinois following her release from St Josephs Hospital here in Tampa on Sunday. According to the Chicago Daily Herald, she attended a candlelight vigil later the same evening. Update 3/27/2014: NTSB preliminary report released. Update 3/23/2014 (10AM): Audio obtained from Tampa International Tower. Aircraft was on a 5 mile VFR final into runway 18L. Tower reports that the pilot declared a fuel emergency on final approach into St. Petersburg Clearwater Airport. Audio also indicated that the pilot was attempting to land on McMullen Booth Road due to the fuel issue. Update: The deceased pilot has been identified as 53 year-old Jeffrey Bronken of Round Lake, Illinois. The two 15 year-old injured passengers have been identified as Katherine Bronken and Keyana Linbo also of Round Lake, Illinois. 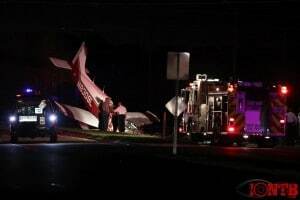 15 year-old from plane crash this AM last reported on twitter at 11:20pm last night that they stopped in Nashville, TN. Crashed at 4am. Multiple calls were received by the Pinellas County 911 center this morning about 4am of plane down after hitting power lines. Witnesses reported that the male occupant of the aircraft was lying in the roadway with two injured females still inside. Initial arriving units reported locating an aircraft nose first into the ground. The plane was a Single-engine Piper aircraft which reportedly left Chicago, Illinois about 6:30pm last night. It was enroute to St. Petersburg-Clearwater Airport. The Piper PA-28-181 Archer aircraft was placed into service in 1980 and registered to Inman Glass Corporation out of Highland Park, Illinois. The male pilot of the aircraft was declared deceased on-scene. According to Sgt. DiSano of the Pinellas County Sheriff’s Office, the pilot’s daughter and her friend were also aboard the aircraft. They were both declared to be trauma alerts and transported to a local trauma center for further medical care. Initially, Bayflite was dispatched to the scene but was ultimately cancelled. Both the injured were transported by Sunstar. High tension lines were down in the area and Duke Energy was going to begin repairs after sunrise. Traffic on McMullen Booth Road will be closed for some time between Enterprise Rd and Union Street. FAA was on-scene and a NTSB representative was enroute from Newark, New Jersey to investigate.